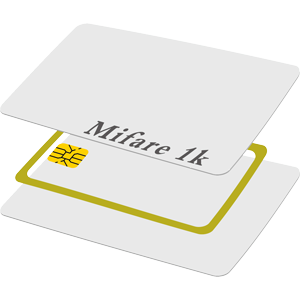 The Mifare family is a leading supplier in contactless smart card IC technology. Operating in the 13.56MHz frequency range with read/write capability, these ID cards come in standard ISO, KeyFob, Tags and Wristband varieties and are perfect in Schools, Universities, Transport and many other areas. ID CardWorld can provide competitive pricing on all your MIFARE, Contactless Smart Card or DESfire card needs in plain white or with pre-printed artwork. Please call us today to discuss stock availability or customised card production.